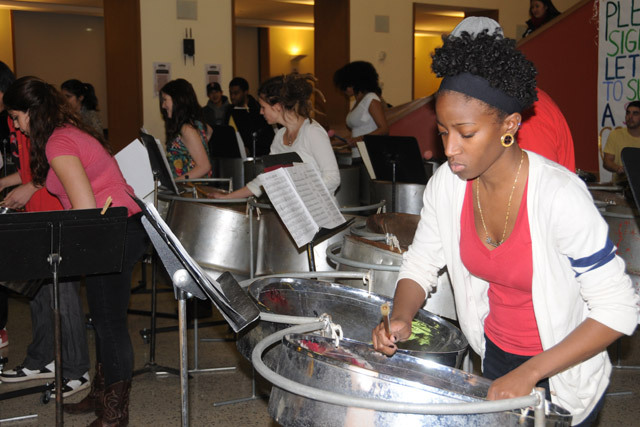 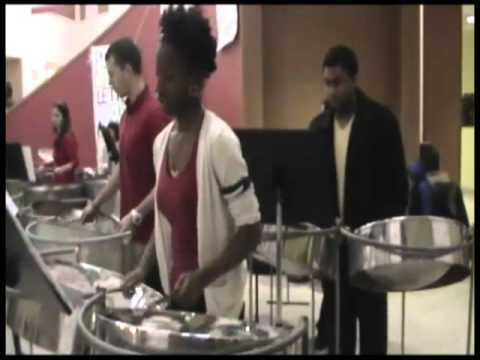 Wesleyan’s Music Department held a Student Steelband Concert Dec. 9 in Usdan University Center. 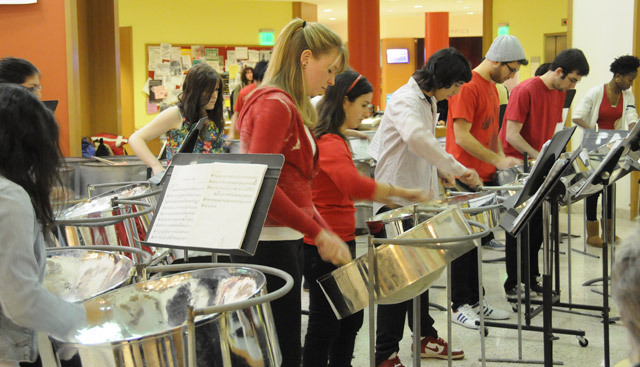 Eric Charry, associate professor of music, directs the Trinidadian steelband and class. 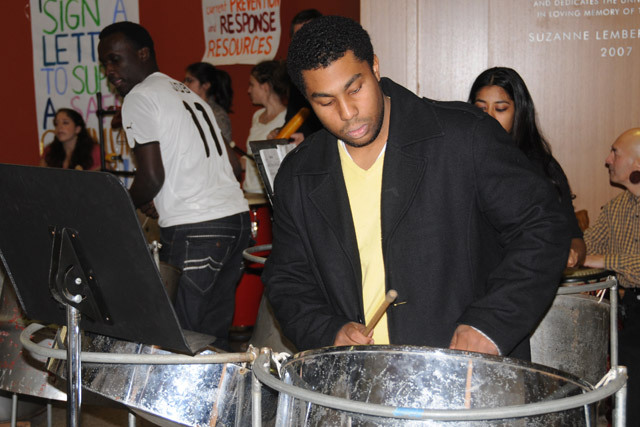 In center, Anthony Edwards ’11, plays the double tenor pan for “Tobago Jam.” Pictured in the back, left, is Job Ogutu ’12 on a set of cello pans. 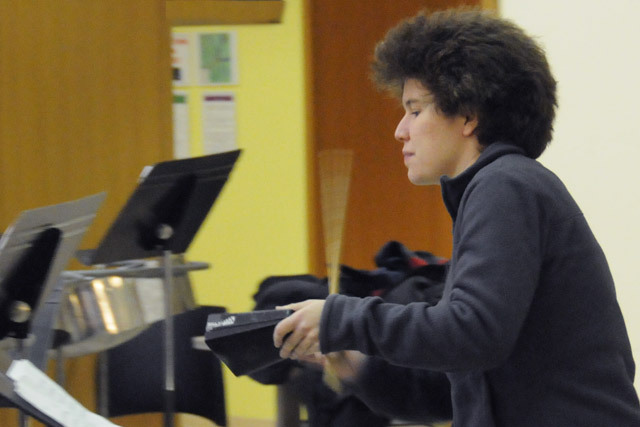 Heather King ’11 plays the double tenor pan.